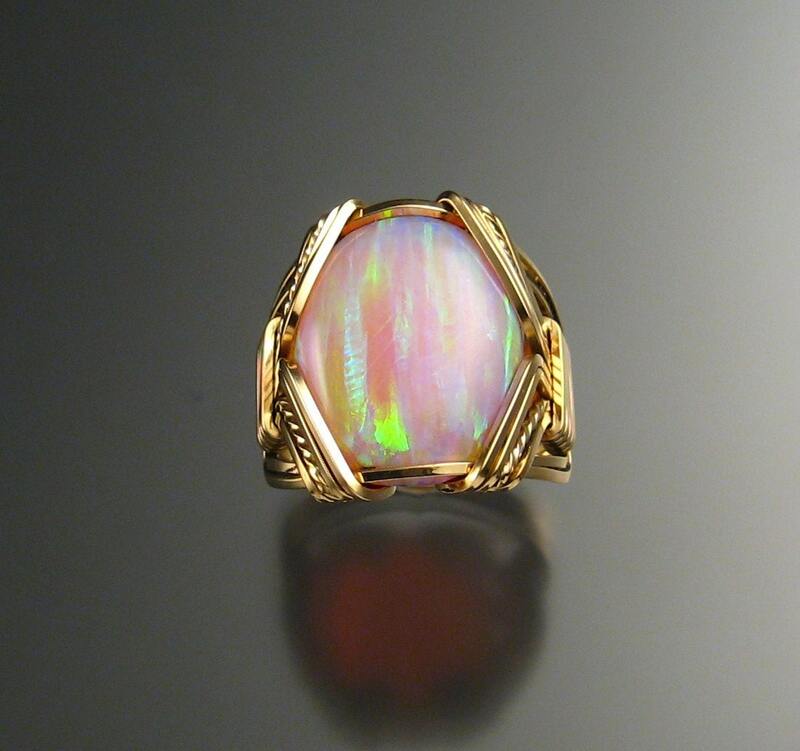 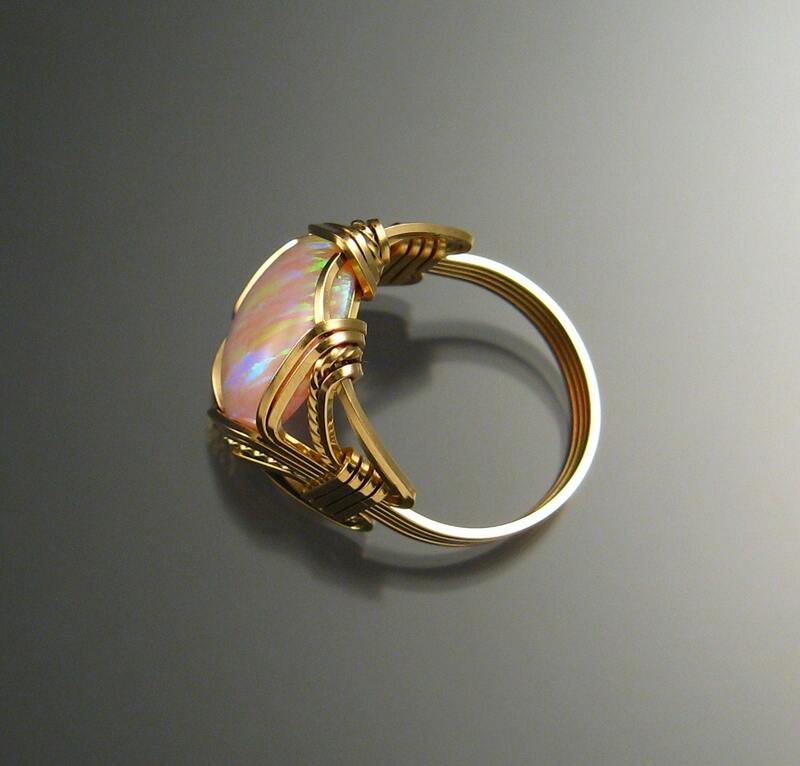 13x16 mm blush pink lab created Opal ring is alive with green pink and yellow fire. 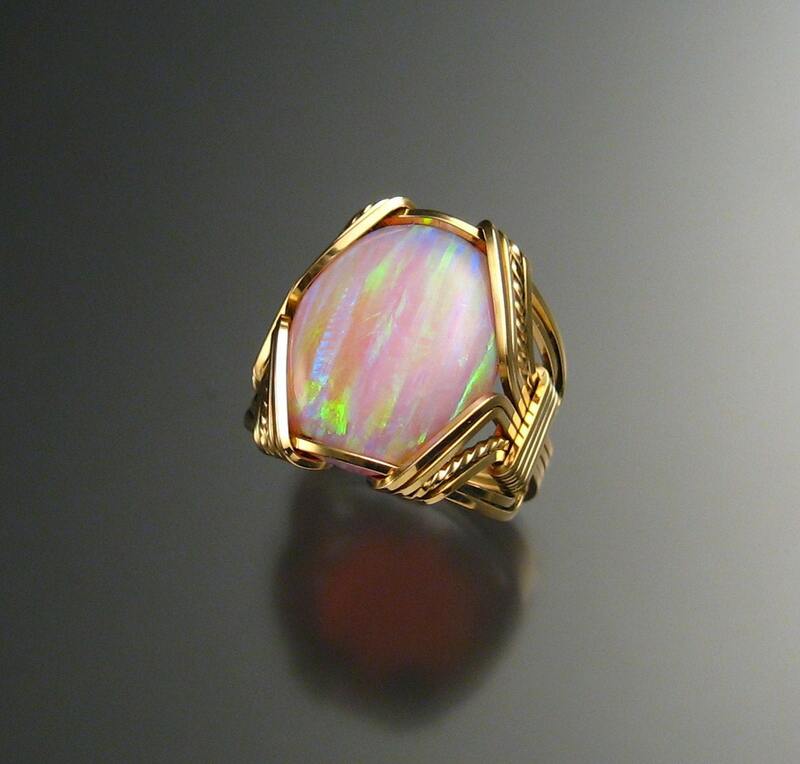 Handcrafted using 14k gold-filled square wire. 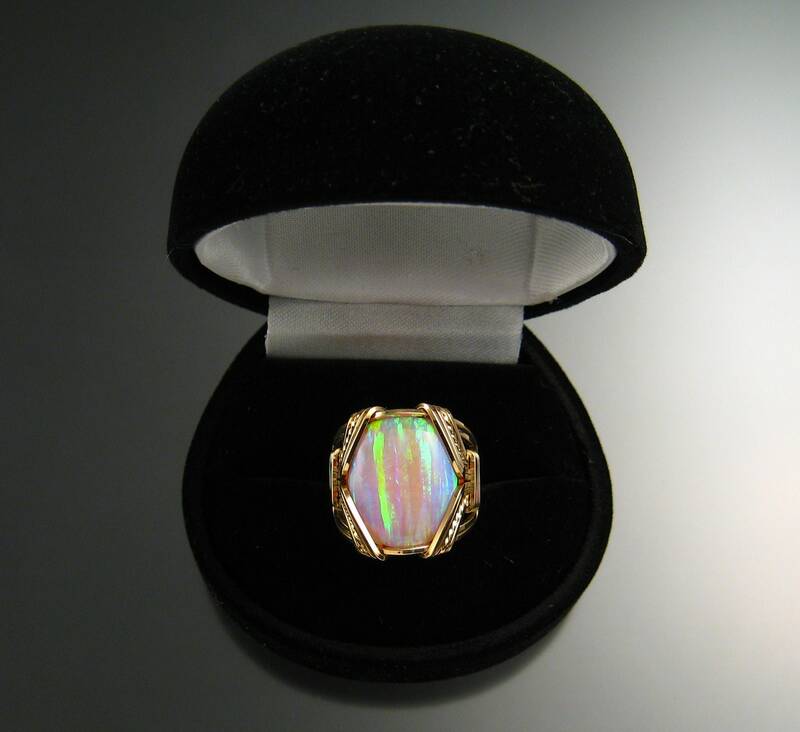 Pictured ring is size 7 1/2 and is ready to ship. 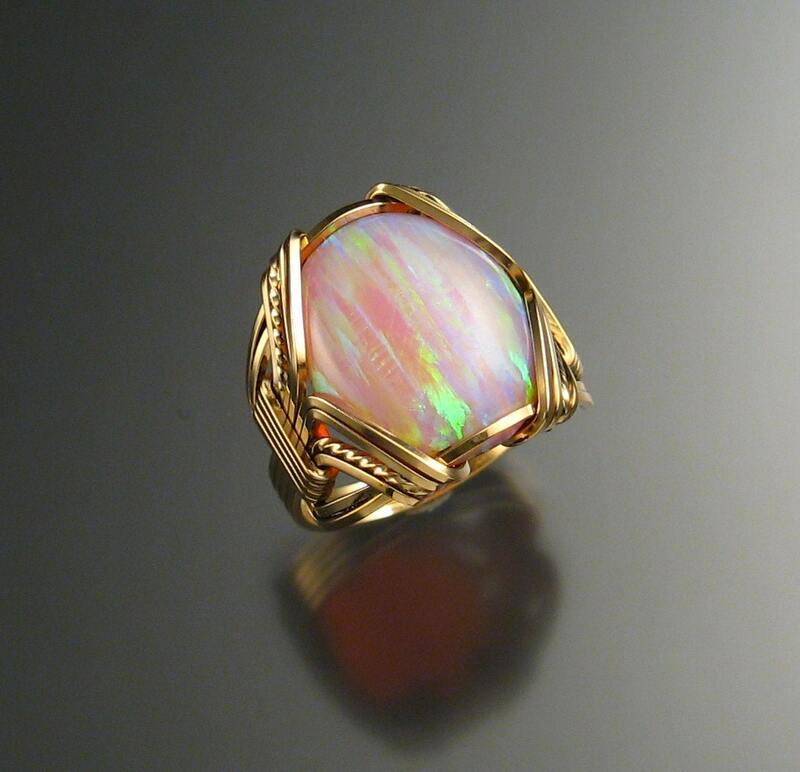 Specify your size at check out.